Indian market rolls down for the fourth straight session today, with BSE Sensex falling down by over 300 points after fears of a global trade war banged investors. The standard Sensex slid to a near 2 weeks low of 33,747 after the US President Donald Trump proposed hefty duties on import of aluminum and steel last week. When the monthly survey showed India's services sector growth contracted in the month of February and fell to a six-month low, the investor's sentiment got dampened. As new work orders suffered amid weak underlying demand conditions. The seasonally adjusted Nikkei India Services Business Activity Index fell from 51.7 in January to 47.8 in February, its lowest level since August, PTI reported. "Global headwinds on account of US governments plans to impose a tariff on imported metals slid the domestic market. The metal index lost its sheen while strength in rupee supported the market to recoup some loses towards the close. But the recovery is not broad-based as mid & small cap continue to under-perform due to expensive valuation," Vinod Nair, Head of Research, Geojit Financial Services Ltd, said. 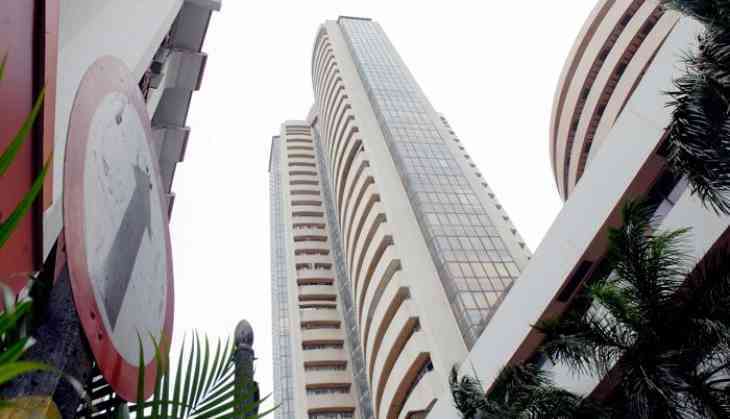 On Monday, the 30-share Sensex closed 300 points, or 0.88 per cent, down at 33,747, while the Nifty50 index shed 100 points, or 0.95 per cent, to 10,359. Out of 50, only eight stocks in the Nifty50 index managed to settle in the green. “Market traded under pressure after the gap-down start. However, marginal bounce in the latter half pared some losses. It was the fear of possible trade war, after the US President announced to impose new tariffs on steel and aluminum imports, rattled global markets, including ours. Besides, the report that FPIs have pulled out more than 11,000 crores from the equity market in February further weighed on sentiment,” said Jayant Manglik, President, Religare Broking.